You must be so thrilled that Stay With Me is being shortlisted for the Women’s Prize for Fiction! What has it been like for your debut novel to be so well received? It’s been wonderful, better than anything I could have imagined. No one ever expects their first book to do this well, at least I didn’t. You feature different stories from folklore and throughout the novel. Did you draw from the stories you heard as a child? How did you integrate these stories in new ways? Yes, my grandmother told me several stories when I was young and two of those stories are retold in Stay With Me. Yejide doesn’t agree with the resolution of one of the tales and retells it in a way that suits her own worldview. So, working closely with the characters helped me to figure out how to integrate the stories into the novel in a fresh and hopefully seamless way. 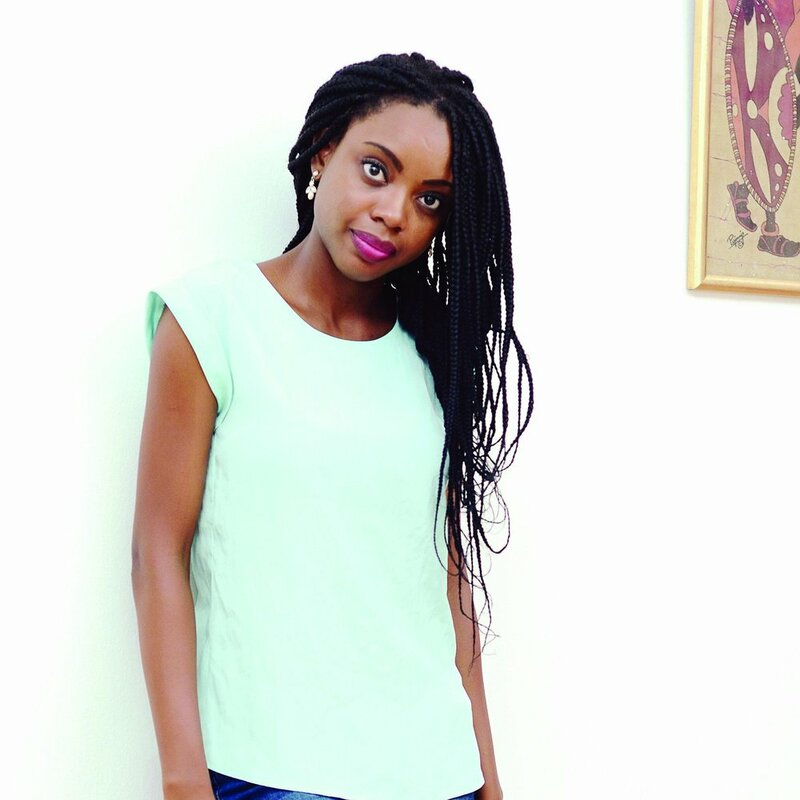 When we first meet Yejide, she’s suffering from infertility and intensely desires to have a child. Additionally, her value as a woman is questioned by society because she’s childless. What made you decide to focus on this topic? I knew of several women who, like Yejide, didn’t have children within the first few years of their marriage. Some of those marriages ended in divorce while many became polygamous, just one made it past one decade. As far as I knew, all those relationships began as love matches so I was interested in exploring how infertility could impact a marriage so drastically even when the couple is in love. Much of the book is from Akin’s perspective, which adds so much depth to the novel. You’ve mentioned elsewhere that originally his perspective wasn’t featured as prominently in the novel. When you started writing more from his perspective, did you learn anything about Yejide and Akin’s story that surprised you? Writing from Akin’s perspective helped me to see how the pressures from their family has quite an impact on him too. If I’d written everything from Yejide’s point of view, it would have been easy to see him purely as an aggressor without recognising the ways in which he’s also damaged by the events that unfold. 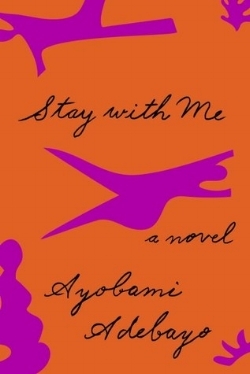 Events in Nigerian politics play an important role to the plot of Stay with Me. Why did you decide to tie the story to specific events in history? I’ve always been interested in how the way Nigeria was run by military dictators in the eighties and nineties shaped our contemporary life and setting this novel that period was one way to explore those connections. You’ve been mentored by Chimamanda Ngozi Adichie and Margaret Atwood. Who are some of the other female authors who have inspired you? Toni Morrison, Elizabeth Strout, Ama Ata Aidoo, Arundhati Roy Jhumpa Lahiri, Kate Chopin, Tillie Olsen, Buchi Emecheta, the list really is endless. Can you tell us a little bit about your next project? I’m working on another novel but I really can’t say much about it because I go through many drafts and the final version would probably very different from what I have right now. Ayọ̀bámi Adébáyọ̀̀ was born in 1988 in Lagos, Nigeria. Her stories have appeared in a number of magazines and anthologies. She holds BA and MA degrees in Literature in English from Obafemi Awolowo University in Nigeria. She also has an MA in Creative Writing from the University of East Anglia where she received an International Bursary for Creative Writing. She was a 2012 OMI Fellow at Ledig House, in Ghent, New York, and a 2015 Hedgebrook writer in residence (Whidby Island, Washington). She works as fiction editor for Saraba Magazine. This is her first book.